Welcome to us, and also here. This little table of contents is my official tour of life in Singapore, and not my attempt to look way more organised than I would if you met me in person. This index will be updated as the site evolves. You can get updates by following this blog, following my Singapore Pinterest Board, or signing up for my Life And Parenting In Singapore email list. Singapore Public Transport – including the free apps we use to navigate around Singapore almost every day. Beat the heat Singapore-style. Totally local tips for staying cool (external link). Everything I Know About Choosing A Local Government School In Singapore As A Foreigner, Plus A Couple Of Things I Probably Made Up. Like it says on the tin. All posts about primary school in Singapore can be found here. Jack Neo: The Film-going Expat’s Guide to Singapore. Used bikes for the new year: a second-hand shopping guide to Singapore. Mr Elephant Goes To The High Commission: Voting as an Australian expat in Singapore. Kid Start Now: P’s first Chinese immersion holiday camp. Bringing Your Pet To Singapore: What Your Vet Wishes You Knew. The top tips my colleagues and I have for pet and vet care in Singapore. Camping on Pulau Ubin. A guide to camping on Pulau Ubin, with links to information about other campsites around Singapore. Stand Up Paddle, Singapore. One of our favourite weekend activities, at East Coast Park. Bonsai and Gangnam Style. Our favourite crowd-pleasing, budget-friendly day itinerary for visitors. To Infinity and Beyond. Tour the solar system (and a range of playgrounds) without leaving the city. Two Ways From Harbourfront Station. Days out on foot, starting at Harbourfront. The Road More Unconventionally Travelled. When you just want to explore – playing the bus game around Singapore. Ten* Dollars Off The Skypark Observation Deck (And A Free* Cup of Tea). Taking in the views from Marina Bay Sands without paying the high entrance fees. Outside In. Visiting the Cloud Dome at Gardens by the Bay. Sunday. The Science Centre Observatory. Twenty-Four Gift Ideas (Plus A Bonus Idea) For Travellers, Expats, Minimalists, And All Other Human Beings. As it says on the tin. Trifectas and Getai. Hitting the Getai stages during the 2013 Hungry Ghost Festival. The Big Four Eight. National Day, from our favourite National Day viewing spot. The 70th Anniversary of Fred Marsh’s World Tour. A Memorial Service for Operation Jaywick at the Kranji War Cemetery. An Expat Christmas, Singapore. A post that’s flown the coup, like many expats in Singapore over Christmas (external link). The Language of Friendship at the Worldwide Cafe. One child’s experience of expat friendships in Singapore. The -Non-competitive Children’s Birthday. Refusing to give in to the crazy. The Octonauts and the Ocean Gyre Cleanup. Conservation in Singapore, and our Octonauts-stye home video. Shadows on the Screen. Life as a serial expat and the Pentedattilo Film Festival. New York New York and Boston. Dad goes away on business. Medellin, Las Lajas Sanctuary and the Amazon River. Mum struggles with the start of the school holidays. ANZAC Biscuit Diplomacy. Racial Harmony Day at school has us scratching for a “national dish” and pondering the diplomatic nuances of food. These trips are within five hours’ flight time from Singapore, starting with the closest and ending with the furthest away. Pulau Redang, Superstar Virgo. (30-60 minutes check-in time at Harbourfront Cruise Terminal) A two-night mid-week cruise with young children. Pulau Sibu, Malaysia. (3-4 hours by road and boat) A weekend family trip with young children. Singapore to Kuala Lumpur by Train. (7-8 hours by overnight train) A weekend adventure with a five year old. Tumpat. (11-12-ish hours by overnight train) A long weekend with young children on the overnight train. Georgetown, Pengang. (1.5 hours by air) A short weekend away by air with a baby. Krabi, Phuket. (2hrs by air/2 days by bus and train). Overland from Singapore to Phuket (via Krabi) by bus and overnight train, with a three and six year old. Return by air. Battambang, Siem Reap, Cambodia. (2 hours by air) An eight day open-jaw itinerary with young children. Hong Kong. (3.5 hours by air) One week with young children, a grandparent, and theme parks. Bangalore and Malpe Beach. (4.5 hours by air) Our week-long trip to India with young kids, for a wedding. Darwin. (4.5 hours by air) One week at the top of the top end with a young toddler and grandparents. Taipei. (5hrs by air) One week in Taipei with a toddler. You can join me in all my journeys via twitter, google+, facebook, RSS, or using the “follow” button in the top left sidebar. But if you only want to read posts about life and parenting in Singapore, you have two options: either follow my Singapore board on Pinterest (where I’ll also be adding stuff I find around the web); or fill in the following form and I’ll notify you by email (no more than once a month) when this page is updated. Email me (no more than once a month) when this page is updated? (required) Yes please! Thrilled to find your site and to see you’re traveling with kids. So many people use their kids as an excuse not to travel, and i’m so inspired to see you’re doing it, loving it, and showing others how possible it really is! It’s definitely possible. Although I sympathise with those who’d rather stay home. For me it’s easier to be on the road, everyone stimulated by their new surroundings, even if it does make some other aspects of life more challenging. What an absolutely wonderful and concise synopsis on what’s on offer. A must have list of links for any expat living in Singapore. 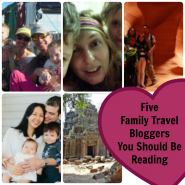 And very alluring to those of us who like to travel with kids! Thanks – I’m trying to organise it so people can find what they’re after a bit more easily! Oh yes, I know that feeling. In my case I put them in drafts, that I never seem to be able to finish! At least your way, they are a great resource to people and they will come back for more. Oh, the eternal draft folder. I think at this point only 60% of my posts are in published form – and that’s not including the drafts I decided to delete permanently!